Best-selling novelist Cora Harrison’s light historical romance in the form of a secret diary was inspired by real-life events in the Austen family and will delight Jane Austen fans everywhere. When 15-year-old Jane Austen’s shy cousin Jenny comes to stay, their evenings are a blur of beautiful dresses, balls, gossip, and romance; their days are spend writing about them - Jenny in her diary, Jane in her witty first attempts at fiction. When Jenny falls utterly in love with a handsome naval officer, who better to help her than Jane herself, already an expert in love and relationships? With Alison Larkin’s delightful narration, you’ll feel yourself transported to 1791, meeting Jane Austen at age 16, and experiencing what life was like in that long-ago time. This delightful, meticulously researched novel is followed by an afterword about the actual people and events on which the novel is based, including Jane Austen’s disabled brother, George, and the whirlwind courtship of Jane (Jenny) Cooper. Delightful historical Jane Austen romance! 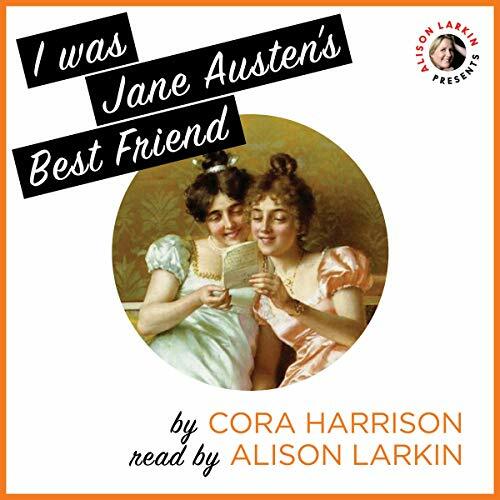 I loved Alison Larkin's narration of The Complete Novels of Jane Austen and was thrilled to find this book. It is delightfully written and beautifully narrated - unique in that it is set in home of a teenage Jane Austen when her cousin Jenny comes to stay. The teenage Jane is witty and smart and you believe it's here and the parents are so like Mr and Mrs Bennet. It's charming and different and oh such a pleasure to listen to on a cold day with a nice cup of tea. I was also fascinated by the portrayal of Jane's handicapped brother and really had a sense of being in the Austen family. .A true gem!